When a situation calls for increased visibility, having the right tactical light on hand is imperative. 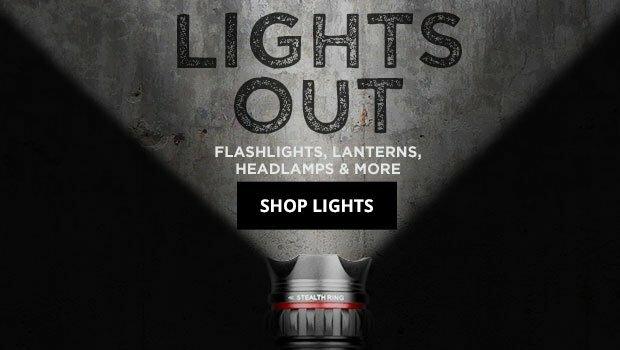 That's why TacticalGear.com has created the ultimate resource with the largest selection of name-brand lights. Regardless of your role, requirement or budget we're confident we carry a style to meet your needs. We've got everything from flashlights to weapon lights, engineered with the latest innovations and guaranteed to give you the upperhand. Depending on the requirement, the lights we carry can differ greatly in features and intensity. What is an LED? What is a lumen? Get the answers at the Tactical Lights FAQ. There are plenty of factors to consider when buying a tactical flashlight. When stakes are high and threat is imminent, it's essential to see everything around you. Great replacement for the old military broke neck 90 degree light. With the option of Blue, green and IR light and strobe (rescue version) good night vision retention. A great all around workhorse, with lots of options, If you want a good light for nighttime field work, this is your light, if you want a retina burner , then keep moving.